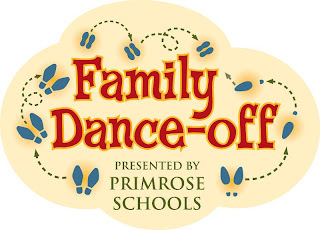 Primrose Schools, the leader in educational child care, has launched a national campaign to promote physical activity and healthy lifestyle choices by encouraging families across the country to boogie on down! Watch this video to see some great dancing moves in action! Childhood obesity is a critical issue for young children in America. Dance is a fun, easy way to introduce physical activity into your family's routine while enjoying quality time together. The Family Dance-off supports Children's Miracle Network, a non-profit organization that raises funds for more than 170 children's hospitals, which collectively treat 17 million children annually for every illness and injury imaginable. Disclaimer: I was not compensated in any way to spread the word about this contest, but by spreading the word, I have been entered into a contest to win a $250 American Express Gift Card from MomSelect! Sounds like a lot of fun! I love dancing with my kids.